Jumping Clay is a magical modelling material. It's almost impossible to describe the bizarre texture of the clay, but it's smooth, easy to mould into different shapes and 100% safe. There are of course lots of different clay modelling kits around, but we have never seen anything quite like this. The quality is superb, mess free and you can blend the colours together. The clay also contains natural jasmine scented herbs and each set comes with storage bags or tubs to keep the clay fresh. Having finished your model, it will air-dry naturally. This set includes jumping clay, components and an illustrated manual. 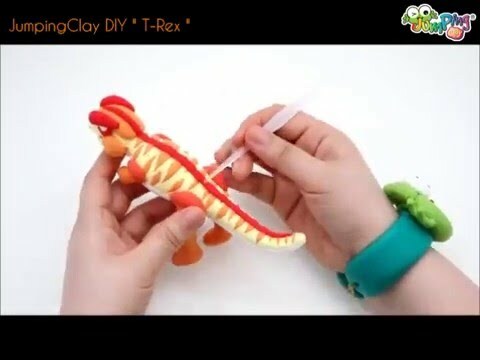 Why do you like JUMPING CLAY - DINOSAUR KIT TYRANNOSAURUS REX?